If your dealership is guilty of any digital advertising blunders, don’t worry, we won’t tell. But we will point them out so you can stop what you’re doing wrong and get back on track. 1. Buy ALL the words. You’re unlikely to win the bidding war for search terms like “cars” or “trucks” unless you’re willing to pay a high price and risk a high bounce rate. You might get more clicks, but it will cost you more for worse results. People searching general terms are usually not far into the buying process (if at all) and are unlikely to result in a sale. Concentrate your specific makes, models, and services. 2. Buy ALL the areas. Not only is it a waste of money to target every area, it’s often against the rules. In many cases, your OEM has regulations in place to protect their other dealership interests. Going outside those limits is not a smart gamble to take. And while you want to sell cars everywhere, it’s smartest to target those most likely to buy, not those you wish would buy. 3. Stay positive. Negative terms – or those that you determine you don't want your ads to show for – can be your friend. If your ads are displaying in searches for keywords that have nothing to do with your business or your goals, feel free to exclude them. Your click through rate will improve and so should your bottom line. 4. Only accept number one. Everyone wants to be on top – that’s why the first spot is expensive. You need to really consider if the cost of ranking number one is worth the dent in your wallet. Often, you can spend less money for more clicks from position 2 or 3. 5. Fail to deliver. Advertising for inventory you don’t have or sending ads to an otherwise irrelevant landing page is bad for customer experience and bad for your advertising account. Google rewards more relevant ads with higher quality scores, which can result in more impressions and lower cost-per-click. The goal is to give customers what they want, so make sure your ads and landing pages are valuable to their search. 6. Forget your own name. 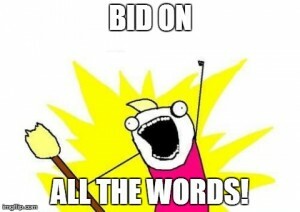 Sometimes dealers are advised against bidding on their own branded terms. Ideally, you should own the page for organic search on those terms. However, the cost for your own dealership name is probably low, and your competitor is probably bidding on it as well to poach your traffic. Don’t limit your strategy to just your name, but definitely include it. Effectively managing your own digital advertising can be confusing, exhausting, and expensive. Check back here for tips and advice, or call 855.NKD.LIME and leave the hard stuff to us.